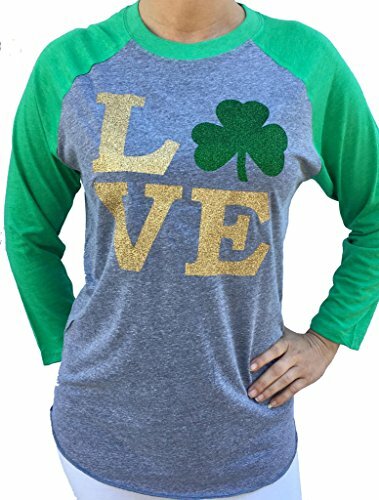 This fun St. Patrick's Day shirt features a glitter bling print of the word LOVE with a lucky shamrock in the place of the letter O. This design is inspired by the famous stamp designed by Robert Indiana in 1973. This is a poly/cotton/rayon blend shirt in a unisex cut. The top is sport grey with green sleeves and collar. 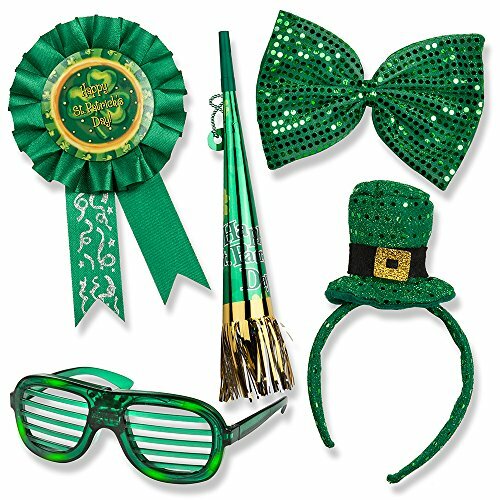 The letters L, V, and E are printed in glittery gold while the shamrock in for the letter O is a glittery green. 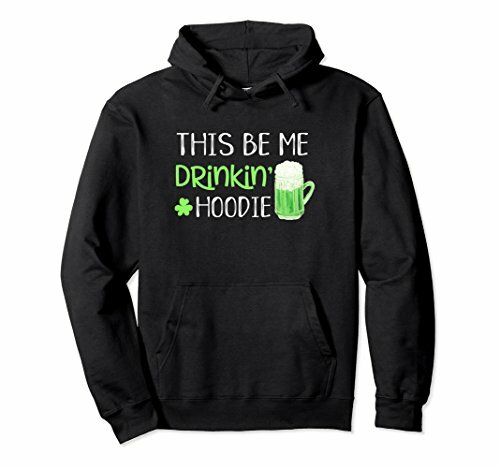 This is a fun bling shirt to wear on St. Patrick's Day!